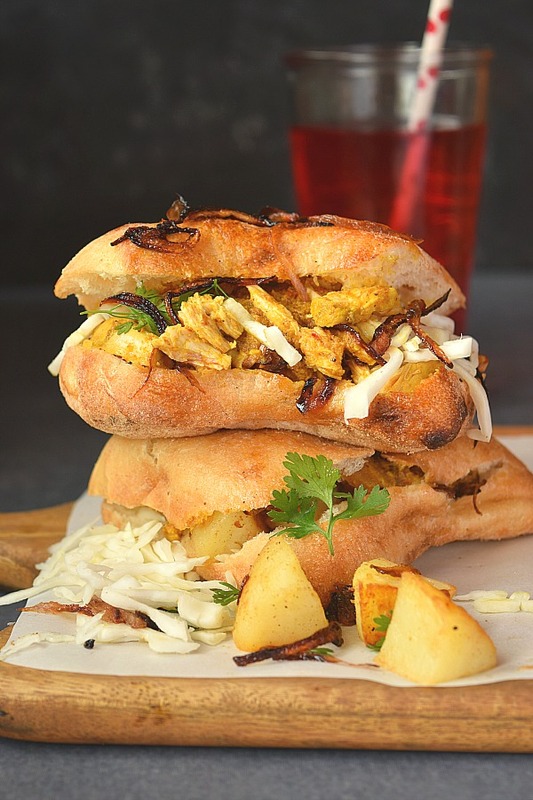 When in a hurry to fix Breakfast / Lunch box or even Dinner, then this recipe will come to your rescue, leftover Chicken Curry Sandwich with caramelized Onions and Butter fried Potato chunks is an awesome combo! 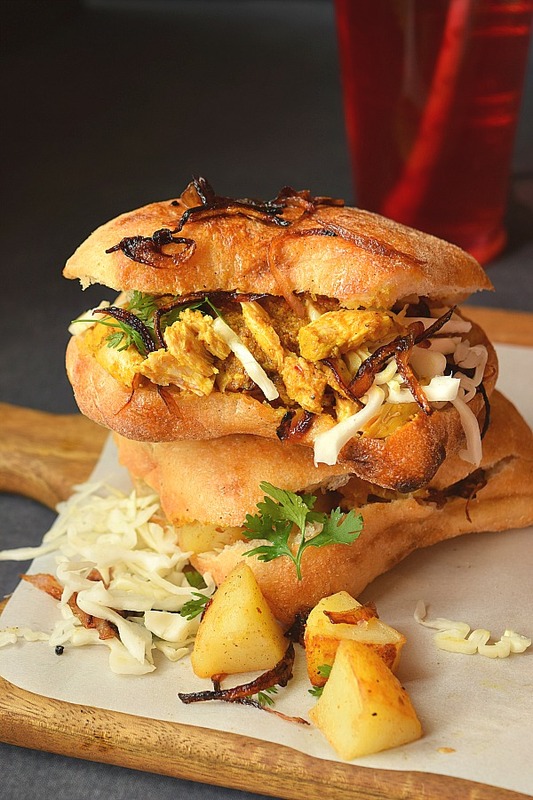 Chicken Sandwich with leftover chicken curry is so perfect that now on it will be a regular at my place. 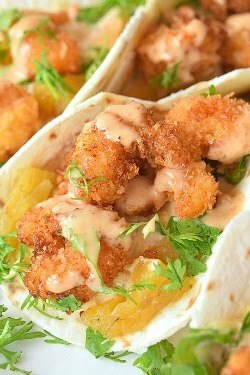 This is a lifesaver recipe as all I am doing here is putting together some easy ingredients to make some amazing breakfast recipe / Lunch Box idea and also quick dinner fix. I used to always wonder when there was good amount of leftover chicken curry at home as to how to consume it and the only thought that as a Goan comes to my mind is making "Ros Omelette" ! Now that is another interesting street food served at every joint in Goa and relished with Pav / Une or Goan bread. Its adding leftover chicken curry without chicken,plain omelette with some chopped onion and to be gulped down with some hot local bakery made Bread. This time I thought of this Chicken Sandwich, and trust me it was very amazing. 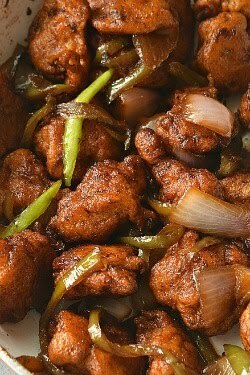 I have shared recipe of my traditional Chicken Curry Recipe,but if that is tedious to follow then I have also given another chicken recipe in "Notes*" below to ease out the curry recipe. I have marinated chicken pieces(bone-in) with paste of salt,yogurt,turmeric ground,cilantro,mint,ginger,chili pepper and garlic. 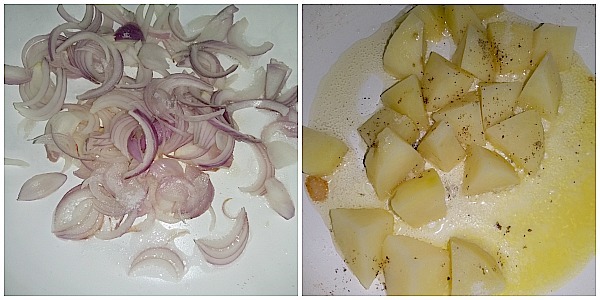 Next I have caramelized the onions and butter fried the boiled potato chunks. 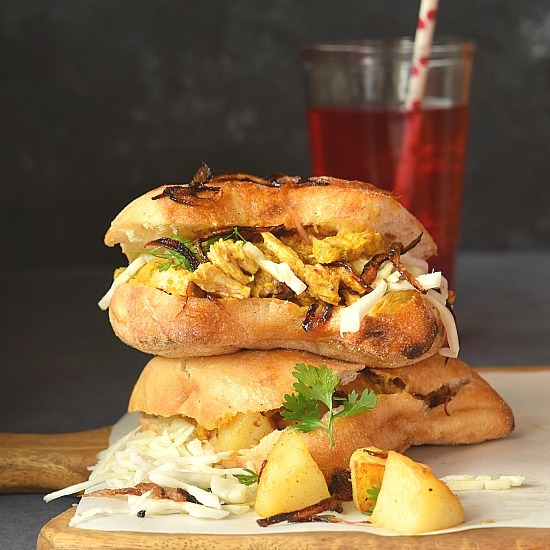 Very easy and flavorful dish to put together in no time,that too with leftover Chicken Curry to make this delicious ChiCken Sandwich,with caramelized Onions and Butter fried Potato Chunks. Here I have used leftover Chicken Curry,bone-in,shred and discard bone. Here is the traditional Chicken Curry recipe I have shared. If you are looking for a quick chicken curry to make, then I please check Notes*. Use this Curry Paste For Chicken Curry to make the quicker version. To make caramelized Onion,slice the onions and in a pan add coconut oil. Let it get hot, add the onions,salt and sugar. Keep tossing the onions till they are brown and caramelized. To make the butter fried potatoes, first boil the potatoes in sufficient water til soft. Once the potato chunks are soft,drain the water and let them cool. In a pan,add butter,salt and pepper powder,add the potato chunks and let them cook till the sides of potato are well browned. To assemble,put a slit on each bread to open them. Add the curry with chicken pieces to each bread. Add the onions and potatoes,finally finish with cabbage. 1.If you need to make the curry in a hurry without following the traditional Chicken Curry Recipe then,you can marinate the chicken pieces with green paste made of Cilantro,Mint,Green Chili Pepper,Turmeric ground,Salt,yogurt,ginger and garlic. 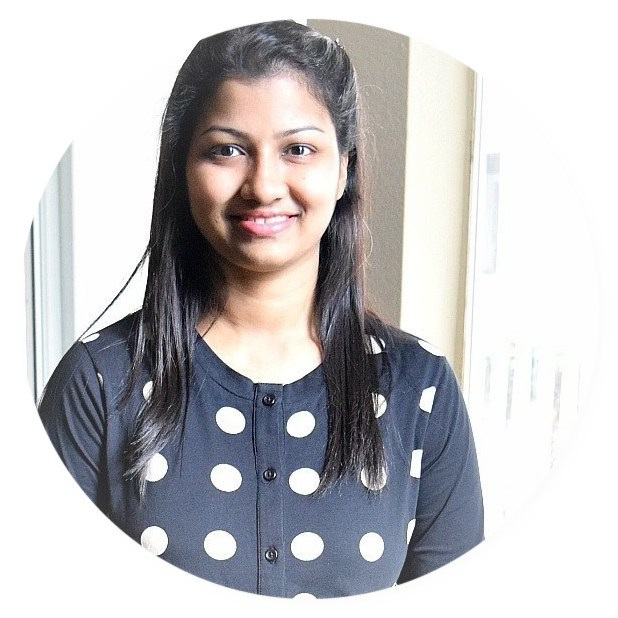 Saute some chopped Onion and Tomato in coconut oil,when mushy add the chicken marinated and add any brand of Curry Paste For Chicken Curry available in Indian Grocery Stores. 2. I personally recommend this Curry Paste For Chicken Curry ,as it suits my and my family's chicken curry taste. 3.If you are using Chicken Breast then shred the chicken once curry is ready,if using Bone-in then separate the bone and discard it. I love using leftover chicken in sandwiches! This one looks delicious. YUM! Sounds delish! I typically make my chicken curry for the topping of my salad but now you've given me another idea on how to use leftover chicken! Oh my I love leftover chicken in my sandwich and this is looks delicious! This looks amazing. I love all things curry and have even taken the leftover chicken curry and made it into a chicken curry salad and a chicken curry wrap. Going to have to try this one, thanks! A recipe for a savory breakfast recipe is always number one with us. I'll have to save this and make it as a wrap. A great way to start the day. Sandwiches are one of my favorite things and this sandwich is one I will have to try ASAP! So much flavor, I can't wait to try it. This sandwich looks so flavorful and delicious. Wish I could grab a bite right now. Yummy! My husband and I absolutely adore chicken curry we almost never have any left! I might just have to make some extra next time so we can try out this delicious sounding sandwich. 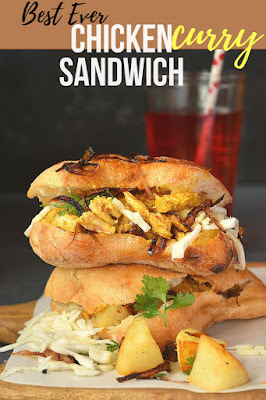 Prasanna, these sandwiches look to-die-for!! It's a perfect way to use up that leftover curry chicken. 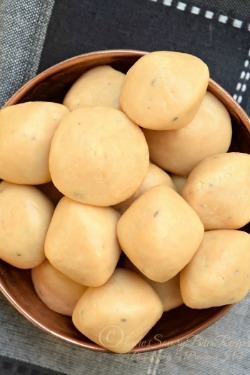 Very delicious AND resourceful! What a great delicous way to use leftover chicken curry! 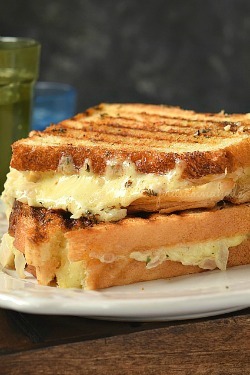 Beautiful sandwich and such great flavors .. love the onions and potatoes too! You can't go wrong with a chicken sandwich! This looks like a tasty way to use leftover chicken curry. How do you make a sandwich look so good? Mine NEVER look like this - amazing!